We believe that in order to support a more vibrant community, we should work towards ensuring that more of our neighbors have access to home ownership. Our comprehensive Affordable Housing Program helps buyers of modest means overcome conventional mortgage qualifying hurdles so they have the chance to become a homeowner, too. 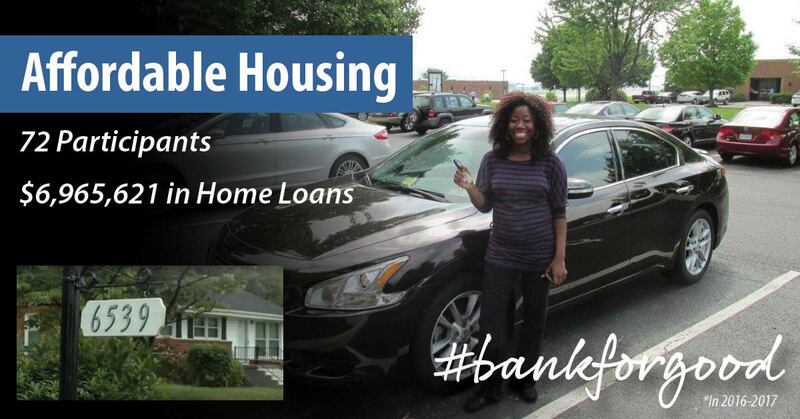 It also includes financial education and helps to secure down payment assistance. Contact our specialized Mortgage Loan Representative from our Community Development Team to learn more. In 2016-2017, Freedom First issued $6,965,621 in loans to 72 community members through our Affordable Housing Program, and participating home buyers accessed $351,756 in down payment assistance. Watch Allison help Erica R. buy a car and become the first in her family to own a home in this documentary from CUNA Advocacy. Not qualifying for a traditional auto loan? Ask about our Responsible Rides® program. Free Financial Coaching for Any Stage of Life.